Yesterday my wife and I finished a marathon of the Harry Potter films, ending with Fantastic Beasts. We felt that these films were good to watch during spooky season, what with all the witchcraft. Plus, we wanted to get caught up as Crimes of Grindelwald comes out in a couple weeks. I've had a lot of thoughts as I've watched these films. I can't remember all of these thoughts, of course. But I'll highlight a few things of each film as I rank them worst to best. One caveat, it's been a few months since we watched the first 2. We had an idea to marathon awhile ago. But we got sidetracked after 2. In October we just picked up where we left off. So those two are a little further back in my memory. But I've likely seen them more times than the rest of the films over the course of my life. So maybe that's a wash? Anyways. Let's dive in! I have the most thoughts on this as I watched it last night. This section is almost a review of the film. I won't be offended if you skip to the next movie. Firstly, Dan Fogler as Kowalski is a treasure. I love every second in which he is the focus. If you've only seen him in Balls of Fury (which is hilarious, btw), you might think he's just a poor man's Jack Black. But this role shows that he has much more range than that. He's just great. I feared that he wouldn't be in the rest of the movies, as his memory gets wiped. But it seems that was a foolish fear. I'd be happy if the rest of the films were just about him. The rest of the cast ranges from fine to good. Eddie Redmayne is a decent casting choice. He really throws himself into the role. I would have preferred Matt Smith, but what are ya gonna do. I feel that this film shows how poorly Rowling views the United States and its citizenry. We're too stupid to use the word "muggle" so we call them "No-majs." But contrarily, we don't have our own word for Auror? Auror is a hard word to say. I think it much more likely we'd have created our own term for that. The Magical Congress is odd. It's like, 40 people all led by a single President. A President who is a very hands-on woman. I feel like Rowling wants the U.S. Magical government to mirror our current government, but they resemble each other in name only. The President is more just a leader of Congress. And she sits on a throne? Why? We're very anti-throne over here. And the Congress is corrupt. They execute people willy-nilly. That could be chalked up to the reveal that Grindelwald is like one of the main dudes (although is official role was very unclear to me). I find this movie to be very meandering. The first 2/3 of it are just running around looking for creatures. Then the last 1/3 is a different movie. And it all ends up with this thing called an Obscurus. Which is like a dark fart that possesses a young witch or wizard? It makes zero sense. Firstly, Prudence becomes an Obscurial (had to google the difference between that and Obscurus as the movie just throws around both terms) because he suppressed his powers. He was an orphan, raised by an abuser, and he was punished for using his powers. Sound familiar? That's Harry Potter. Why does Prudence become this monster when Harry does not? I really just don't understand. The film does not properly explain this. And here's the thing. I could easily be reading too much into this. But we know that Rowling becomes more political every year. I feel that she is trying to make political statements with this film. So where does the Obscureal fit into this? Is it meant to be some kind of allegory for closeted LGBT individuals or something? And if so, is she saying that these people turn into murderous monsters when closeted? Even if it's not about LGBT people or another group, what is she trying to say about free will? What if a person chooses not to use their powers? Are they doomed to be a monster? Do they have no say in their behavior? I just don't know what she's trying to say. Or if she's trying to say anything at all. The big issue with this film is the wasted potential. When the film was first pitched, the rumor I heard was it was pitched as "Indiana Jones but with Magic." Now that's a much better idea for a movie. Give me that. Or, the film talks about how Newt worked with dragons on the Eastern Front of the Great War. That's a more interesting movie. Why not tell that story? I just don't understand why, of all the stories that could potentially be told in the Potterverse, this is what Rowling finally settled upon. I'm baffled. "Sorry, Professor, but I must not tell lies." 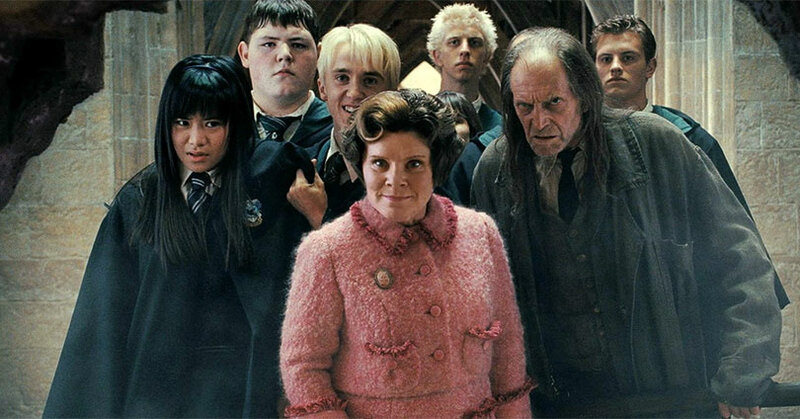 Umbridge is great. Excellent casting and acting. But this film is a total drag. It's just so horrifically boring until the final 20 minutes. It has one epic duel (best of the series) right at the end, but that 40 seconds or so can't make up for over 2 hours of sheer boredom. Nothing meaningful happens in this movie except my favorite character dies (not that I'm bitter or anything). Also, Harry is the worst in this film. And that's saying a lot. As he's just the worst in general. But he's worster here. I want to punch him every second he's on screen. Two months before this hit theaters, the 7th book was released. In that book, everyone is freaking out because Voldemort can fly. Without a broom. He just flies! Then this film comes out and everyone is just flying all the time. They turn in to a puff of smoke (black if they're a bad guy, white if they're good) and waft wherever they please. It doesn't make any sense! Unfortunately, this profoundly stupid concept remains throughout the rest of the film (thanks to giving this director control of all of the rest of the movies). "For full details, see my published works." Gilderoy Lockhart is one of my favorite characters in the series. And Kenneth Branagh was just perfect casting. he is the most delightfully arrogant coward. I love it. Why is this film so low? Well. it's a bit like Iron Man 2. On paper, it has a lot going for it. In practice, this movie is boring. It's just a slog. It's so hard for me to maintain interest here. It's just a boring, boring, bore of a film. I put this quote because this is a good time to gripe. In the Potterverse, medicine can regrow bones overnight. But they can't cure near-sightedness? Why???? This films suffers from what I'll call "Doctor Who Two-Parter Syndrome." The film is divided in 2. So for the first film, absolutely nothing happens. It's all exposition and tension building. Then in the second film, it's nothing but non-stop action. Ultimately, this movie is boring. It's important. I totally get why the split was made. But more needed to happen here. Firstly, the Gringotts Heist should have been the climax of this film, not the opening of the second film (much like Smaug burning Laketown should have ended the second Hobbit film). Secondly, even with all of this time, the film doesn't delve into the backstory of Dumbledore and Grindelwald. That was far and away the most interesting part of the final book. But the films hardly mention it. Last I'll mention the core three actors. It's interesting to watch them grow up with these films. Emma Watson becomes a supremely talented actress. Rupert Grint grows a great deal in his acting ability. But Elijah Wood... er... I mean. Daniel Radcliffe... he hardly grows at all. He's passable in the first film and fine in the last film. Not a great trajectory. I find it odd that he has become a rather successful actor, meanwhile Grint has all but disappeared. This film does so much leg-work. It sells us on the concept of a cinematic Potterverse. It visually and auditorally defined the series. This movie is all world-building. This movie worked because it was truly magical to enter this world as an audience member. It's so easy to get swept up in the wonder and beauty of Hogwarts and Diagon Alley. And let's be honest, the Harry Potter films have some truly marvelous casting. It all started here. They hired competent child actors (it could have gone so much worse, see the A:TLA movie). McGonagall. Hagrid. 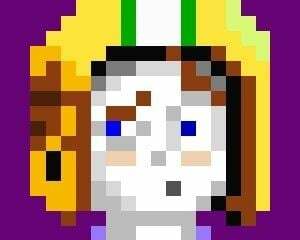 Quirrell. The Dursley's. 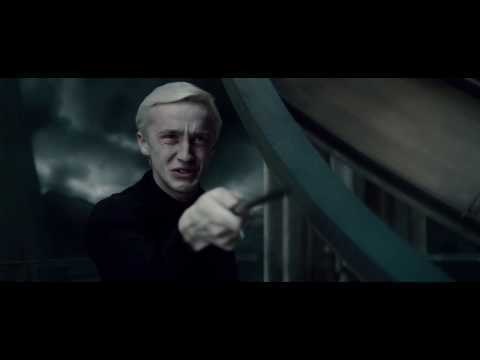 Malfoy. And of course, the beloved Alan Rickman. So many good choices here. But I'm about to say something unpopular. I didn't care for Richard Harris as Dumbledore. Heeeee toooook soooo looooooong toooo saaaaay aaaaanyyyyythiiiiing. Such a drag. Now, I think Gambon probably swung a little too far the other direction. But I still prefer his performance over this. Okay, throw your tomatoes at me now. The problem here is that there isn't much of a plot. It's a bit like Napolean Dynamite, in that it's just a series of things that happen. They aren't really tied together in any sort of meaningful way. "I'm mad for her. I think it's about time I told her, since we'll probably both be dead by dawn!" After puberty hits Neville like a truck, he becomes the real star of this film I'd say. So good. He's a real leader that boldly stands up to Magic-Hitler, even with the expectation that he'll die. Gotta love it. As I mentioned in part 1, this film is all action. Not a great deal of quiet moments here. But overall, I'd say this film works quite well. There's much to like here. I love meeting Aberforth. I love the depiction of Harry's near-death experience (or whatever you want to call it). And of course, I love to see Snape redeemed in a beautifully tragic performance by Rickman. My goodness do I feel for the guy by the end of it. His whole life has sucked. But he powers through all of the suckiness for love. Unrequited love, at that. That's devotion. I have a small gripe which is that I think the true, final duel between Harry and Voldemort could have been more epic. It feels slightly anticlimactic. "Blimey, Harry. You've slayed dragons. If you can't get a date, who can?" This film seems to be quite divisive. I really love it, though. The Triwizard Tournament, insane and ridiculous though it be, is absolutely thrilling. Especially the first challenge with the Dragons. Marvelous scene! And this film has David Tennant! What more could you want? Of course, the plot is convoluted. Fake-Moody could have kidnapped Harry at literally any point throughout the school year, and in a much less risky manner. And I hate that the World Quidditch cup is only about 5 seconds long. If you're going to bother including it in the film, why not give it like, I dunno, at least a minute of screen time? You blink and you miss the entire thing. But the hair on the characters is really bad here, especially Harry. And I also dislike how this film makes it look like each House has like 12 students. Surely the school is bigger than that? Prior films made it look bigger I thought. "Well, you can't break an Unbreakable Vow!" This film is quite thrilling. It ends with a scene that sort of resembles what I mentioned above, "Indiana Jones with Magic." It has probably the best performances that the cast give in the whole series. Especially Tom Felton as Malfoy. So conflicted and tormented. This film has great tension build up. It has an excellent mystery as to the identity of the Half-Blood Prince. The dynamic between Harry and Slughorn is great. It's wonderful to see Ron get some time in the limelight. Seeing magic-enhanced luck is a pleasure. My only complaint with this film is that we don't actually get to see what Snape is like as a teacher of Defense Against the Dark Arts. It ends on such a tragic note. I remember when I first read the book. I was so angry. It's one thing to kill Dumbledore, but it's another thing to discredit him. To see his faith in Snape betrayed was so brutal. Fortunately, that is resolved in perfect fashion by the end of the films and books. But it is just so painful to see here. "I was going for the rat. Normally, I have a very sweet disposition as a dog. In fact, more than once, James suggested that I make the change permanent. The tail I could live with. But the fleas? They're murder." This is such a good movie. Alfonso Cuaron really gives it his all. He shoots it as a horror film, which really works for this tale. It's not an adventure. It's a boy living in fear of a mass murderer that is hunting him and could be literally anywhere. It's very effective. It also has this bridge that I just love. It's poorly constructed. It's twisty, and turny, and creepy. And for some reason I just love every single shot of it. Also, the music in this film is the best of the series. Lupin is a wonderful mentor, played beautifully by David Thewlis. So caring. Definitely the best adult in the series. Sirius Black was always my favorite character in the books. He is performed well by Gary Oldman. I personally had pictured Viggo Mortensen in the role (and I think he would have been amazing if he was cast), but Oldman is a solid choice. He really sells the ragged state of mind that Sirius is in. The bit in the womping willow is tense (hell, the entire movie is tense). And the time travel business is very well told (even if it means the rest of the films make no sense, as time travel can resolve any problem). So what do you think? How would you rank the films? 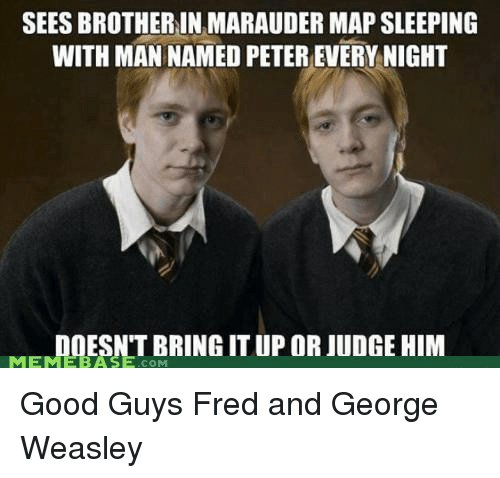 Also, got any good Potter memes to share?